For this challenge we had to do something that started with the letter “c”. 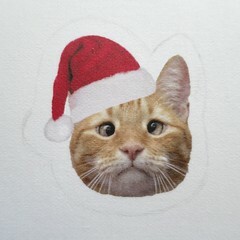 I decided I wanted to make Christmas ornaments of my friend’s cat, Jarvis P Weasley. My original thought was to make shrinky dink versions, but I struggled with the inkjet shrink dinks and ended up with just rolls of plastic. So that left me with plan B, little softee ornaments. 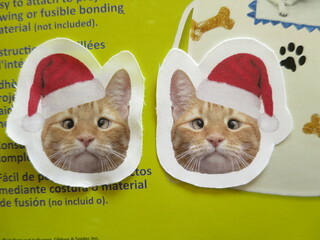 I think the idea is really cute and would make great gifts for people with pets. Of course, it doesn’t just have to be cats, or animals for that matter, you could do dogs, babies, whatever. 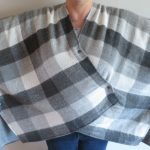 My execution could be a little better in the sewing, next time I think I’ll try sewing it by hand and getting right up to then edge of the picture. Also I’ll do a black back instead of a mirror image, then I won’t have to worry about them lining up. 1. Find a picture you want to use. I found it best to go with something without a lot of edge detail like a face. 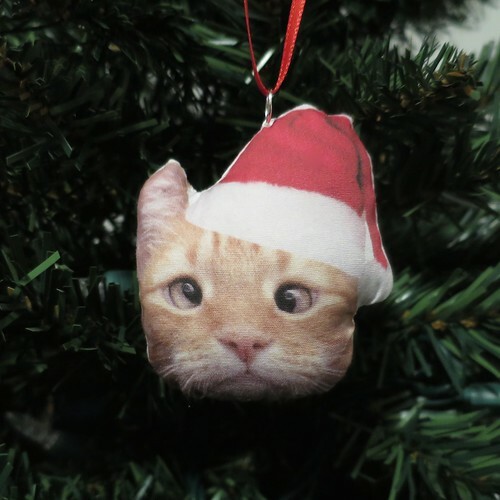 Use the photo editing software to erase everything but what you want on your ornament. 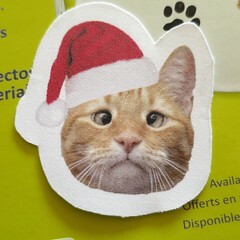 You can also add things to the image, I added a Christmas hat to mine. Make the image the size you want the ornament, mine was 3″ across. 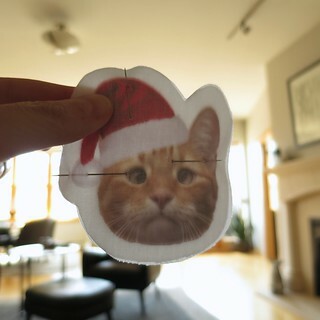 If you want the ornament to be two sided, make a mirror copy of the image. 2. 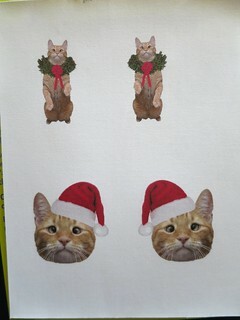 Print your images out on the inkjet fabric sheets. You want to set your printer to print at a high quality and slow speed for the best results. 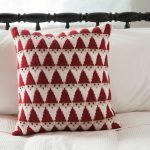 Do not touch the printed fabric until dry, 10 – 15 minutes. 4. Remove the paper from the back of both images. Place the two images right sides together and line them up. If you hold them in front of a light or window you can see through them enough to tell if they are lined up correctly. Pin in place. Sew around the edge leaving about a 1 1/2″ opening for turning and stuffing. I used a seam allowance of just under 1/4″ which left a little white around the edge of the image. 5. Clip points and curves. Turn the ornament right side out and stuff, working the stuffing into all the details. (I used the end of a small paintbrush to help pushing filling into the ear.) Hand sew the opening shut. 6. 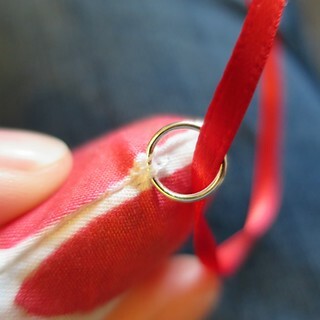 Sew a jump ring to the top of the ornament for hanging. 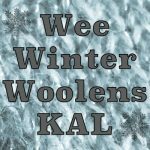 5 years ago by Kat in Challenges , Christmas , Holiday , Iron Craft , Needlecraft , Projects , Sewing , Sewing Projects | You can follow any responses to this entry through the RSS feed. You can leave a response, or trackback from your own site. First of all, I had no idea about Acorn. Second, I had no idea there was even a product for inkjet fabric sheets. 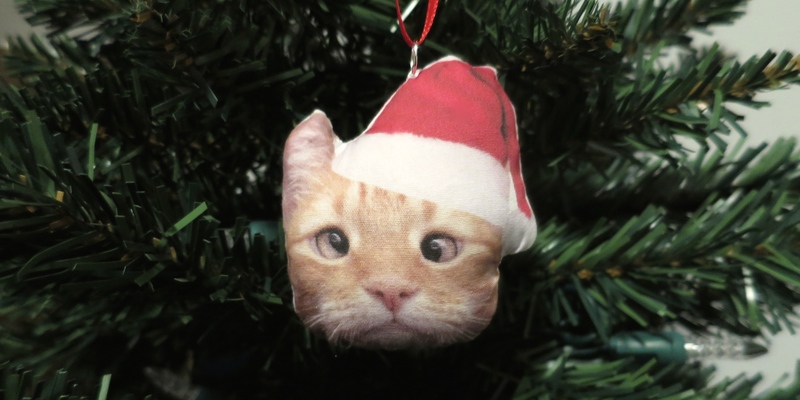 More importantly, this cross-eyed cat ornament made me laugh out loud with joy.I have come back to view it several times already. Another truly great project and thanks for sharing your product information. Oh yes, Acorn has been great for my purposed and very inexpensive. I have been very happy with the inkjet fabric, it looks almost like an art print on canvas when done at a slow speed, high quality print. I love your cat. He is so cute. I’ve not ventured into fabric transfers yet. It’s on my list of things to do. Great project!